Composite decking material has become popular for a variety of reasons. Composite decking is more environmentally friendly than traditional wood, it requires less maintenance and it lasts much longer than a wooden deck. Composite decking is generally made out of a blend of wood or wood byproducts and plastic. 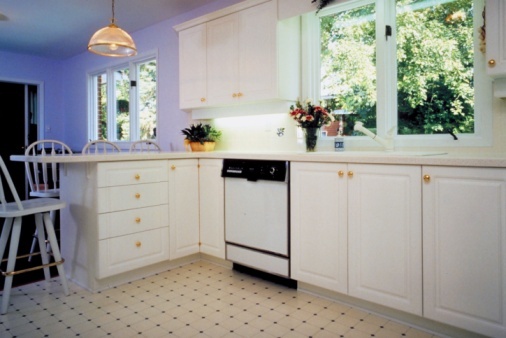 As a result, it is not completely resistant to fire. 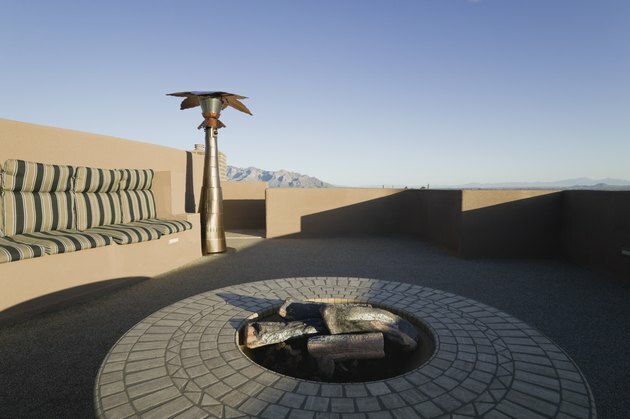 Therefore, if you use a fire pit on your composite deck, it is important to protect it from heat and any stray embers. Position the fire-resistant pad several feet away from any railings, walls or overhangs to prevent blowing embers from igniting a fire. Place the fire pit on top of the fire-resistant pad. The fire pit should be centered on the pad to ensure the composite deck is properly protected from blowing embers. Any stray embers should be extinguished immediately to further protect the composite decking. Raise the fire pit off the ground if it does not have a stand. Place it on top of bricks or cinder blocks. The fire pit should not be placed directly on top of the pad. The pad may not be able to protect the composite deck from prolonged contact with heat.